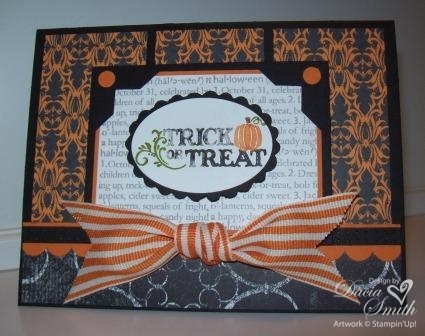 Another Halloween card share for today. Shhh this one’s for my husband. I plan to give it to him in the morning before I leave for a workshop. Hope he likes it. This one was fast and easy, not much fuss here. 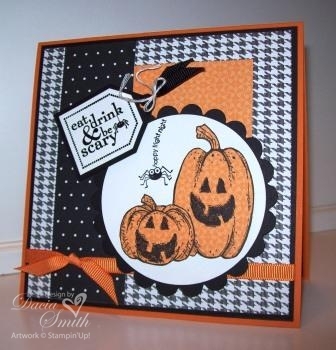 Playing with SC252 sketch at Splitcoast Stampers today. This is the first time I have inked up this stamp. Loved how it turned out! The Pumpkin Pie ribbon is just yummy, really soft and easy to tie. Smile, it’s going to be a great day! Happy Halloween. 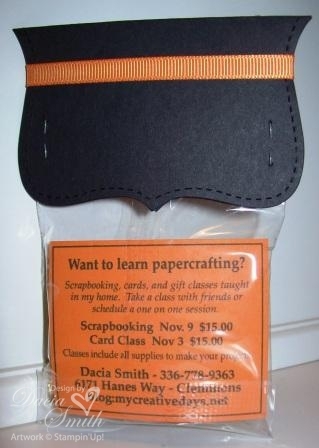 My upcoming classes could use a little creative marketing. Spent some time today putting together 50 of these. 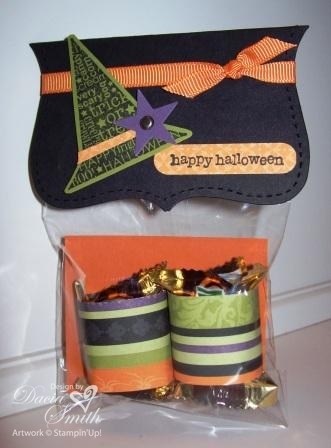 Planning to distribute on Halloween at a workshop and door to door trick or treaters. I’m hoping to capture a new customer or two. Could it be YOU? I haven’t done a MOJO card in quite some time. The sketch looked fun this week, so I gave it a try. What do you think? I’ll have to get this one in the mail tomorrow to arrive by Halloween. Smile, it’s going to be a great week! How about some warm cocoa on a cold winter night this holiday? The Ghirardelli cocoa and a handful of miniature marshmallows were inserted in a 3” x 5” zip seal bag. 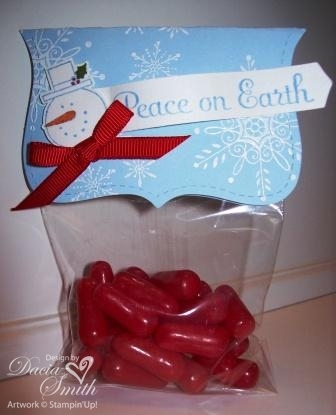 It was dropped into creative packaging to share with a friend this holiday season. It would also make a great table favor for an upcoming party. This project matches an earlier post here. 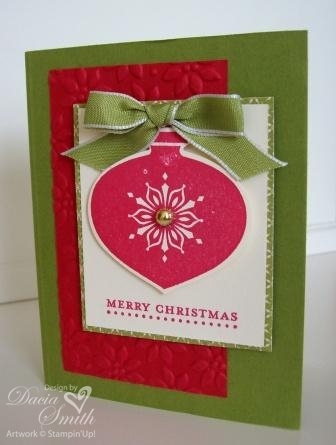 Hope you’ve started on some of your Christmas projects! My share today is a Christmas treat bag created for an upcoming class. It went together quick and easy with help from the Big Shot. Couldn’t do without that great little tool! Makes for a great addition to your Christmas wish list. I filled the bag with Hot Tamales. Hope you have fun making a few treats of your own to share this holiday. 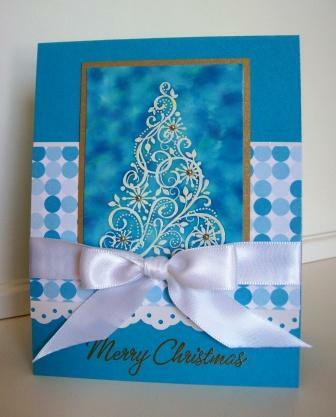 I know Tempting Turquoise is not a traditional Christmas color, but I had to give it a try. I’m really excited about the results. 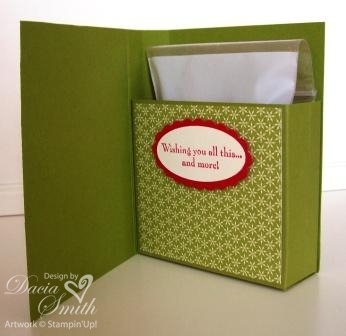 If Bold Brights is your pallet this might be one you want to give a try. All the details are below, if you need further information, shoot me an email.